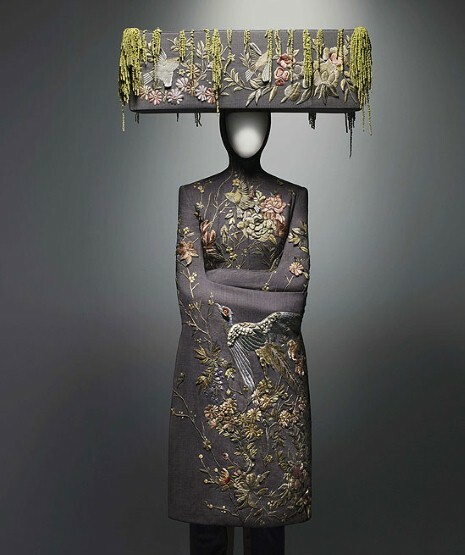 Costume Institute's exhibit this year is titled Savage Beauty. 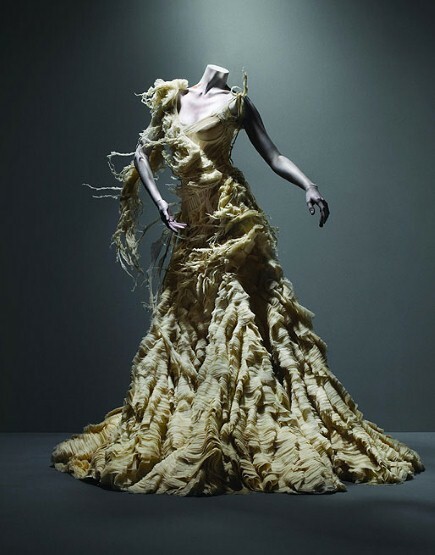 Featuring the designs of Alexander McQueen, from his early days after college to his last collection which where shown after his death. The photos were taken with a model, then edited to make them look like manequins. Too bad for the models, their faces weren't shown. 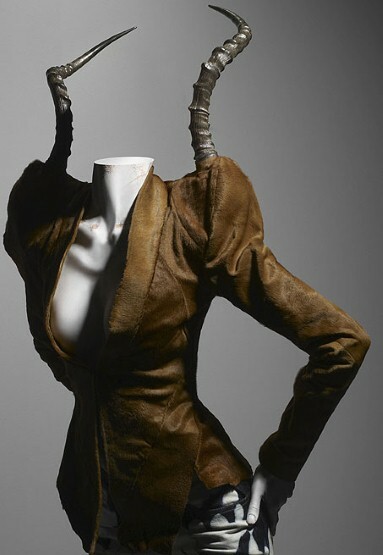 From McQueen's Fall/Winter 1996 show. This shows his talent in putting Old Techniques into Modernity. The look is a bit Edwardian, then modernized by the plunging neckline. From his 'Jungle' collection for Fall/Winter 1997. It's amazing to imagine how they were able to put the horn into the shoulder like that! 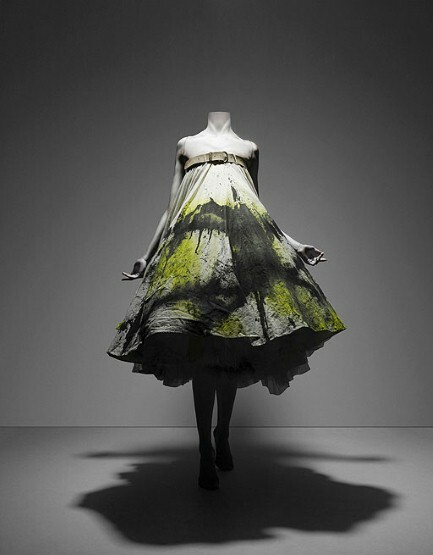 McQueen showcased model Shalom Harlow on a turntable being spray-painted by robotic arms. 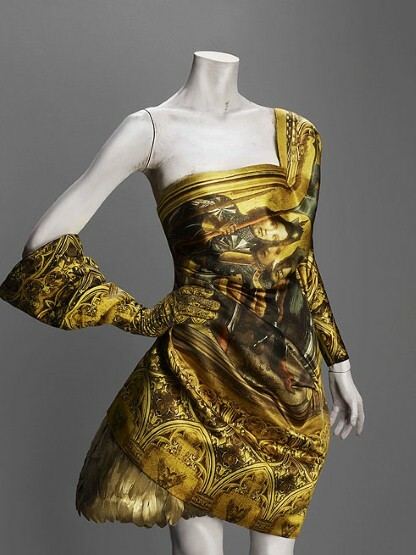 The white dress was painted with yellow and black, as you can see. 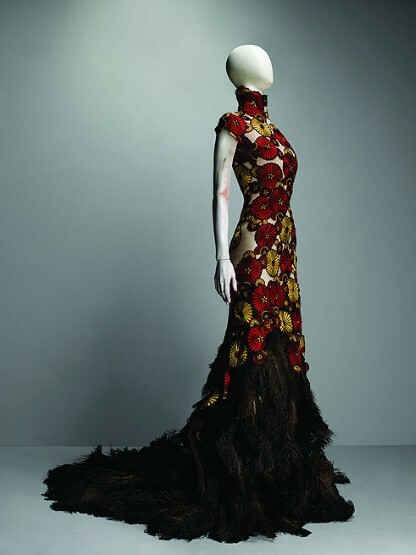 This gorgeous gown is from the Spring/Summer 2001 collection. It is kinda Asian inspired, to me that is. where models walked inside a glass box. 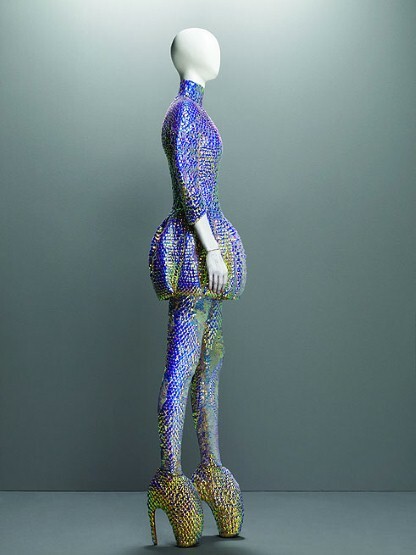 A Japanese-inspired look from McQueen. I love the romantic feel of this dress. 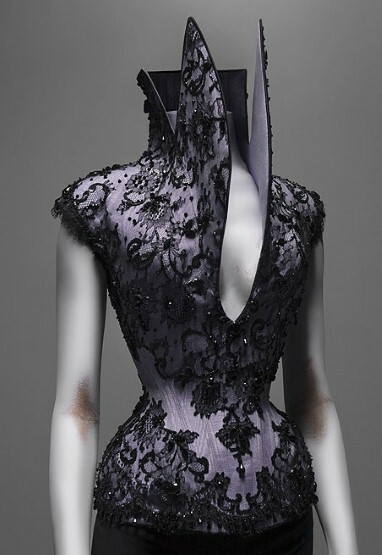 This is from McQueen's Spring/Summer 2010 collection. His last womenswear collection in which he took the bow for. 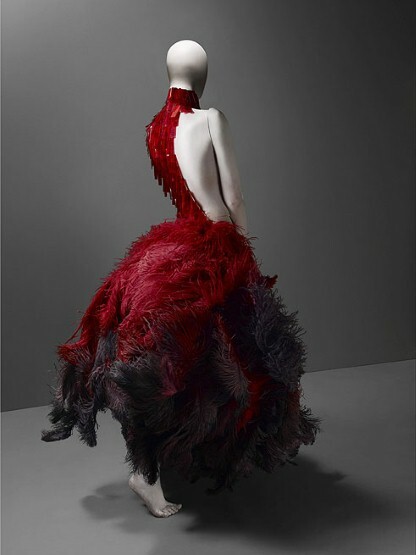 This stunning dress was part of a 16-piece collection shown only to a handful of people. The Fall/Winter 2010 was his last collection. He didn't even live to see it. 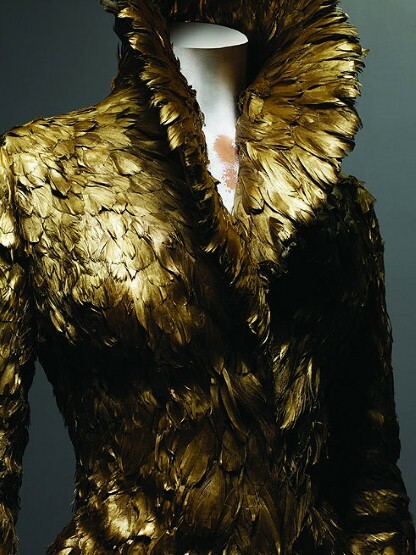 This gold feathered coat was his closer for that show. 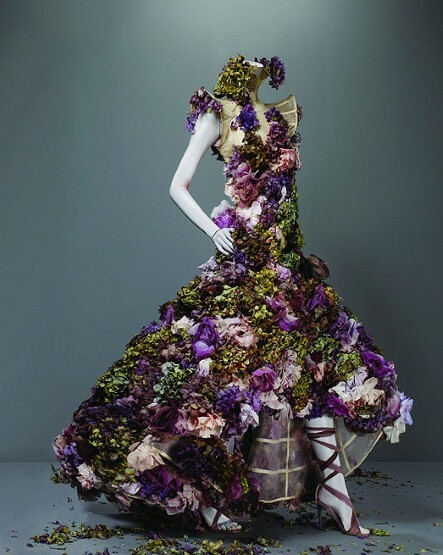 Now this makes me excited for what people will wear at the Costume Gala. I hear Anna dello Russo is invited. That alone is worth blogging for sure. I haven't found the time to blog... but i'll try within this month!